Articulate Storyline lets you publish courses to a wide range of formats, including Flash, HTML5, and the Articulate Mobile Player app. 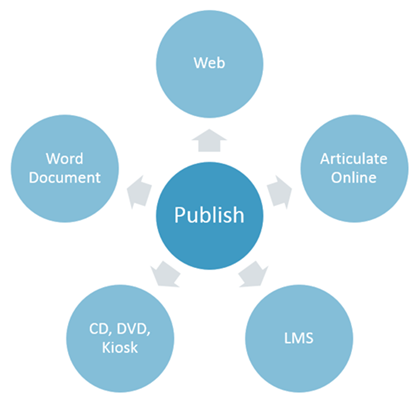 Host published courses on the web, a learning management system (LMS), or local media (CD, DVD, etc.). You can even create handouts or a transcript by publishing to Microsoft Word.